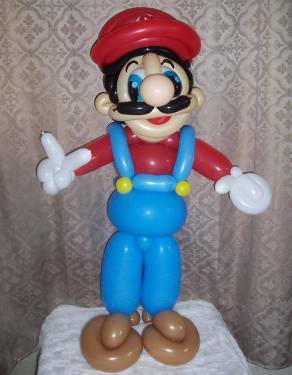 Description: This Italian plumber was made for a Mario themed birthday party. He stands a little over 3' tall. This parody will be interesting to try again once I have the proper supplies on hand.